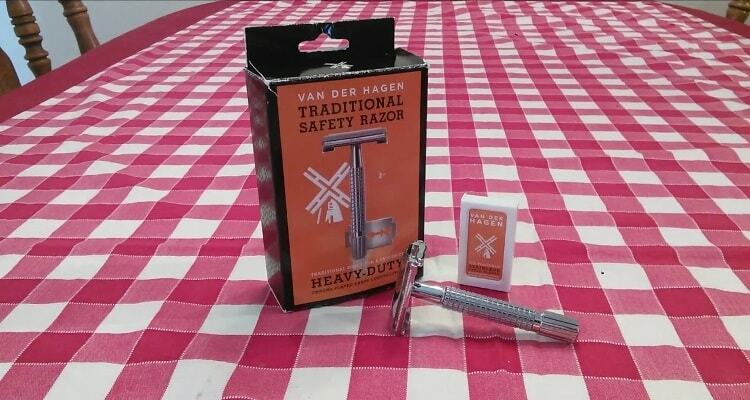 Van Der Hagen is one of the most popular safety razors in the world today. Is it good for you? Should you buy it? 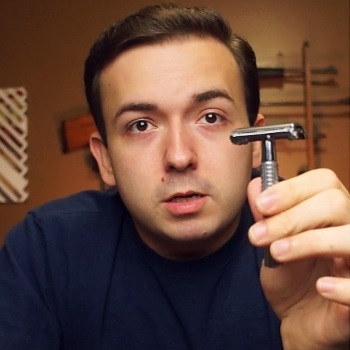 I’ll be answering these questions and more in this Van Der Hagen Traditional Safety Razor Review. There are some things I look for in a safety razor before buying it. I ask myself is this razor well made? Does it give me the kind of close shave I want? The quality of the razor is important. If the blade is made with high-quality materials and great attention to detail, I have no doubt that it’ll be cool. For over the past few years, I’ve met a lot of people who told me they use Van Der Hagen to shave. Even though the razor was popular, I didn’t buy it until recently. So, I decided to try the razor finally. I was completely surprised by the quality of the razor and the shave it gives me. I couldn’t believe it. Now, I understand why a lot of people like this safety razor. After using the razor for 4 weeks now, I believe I knew about it enough and decided to write a review about it here. Are you thinking of buying Van Der Hagen Traditional Safety Razor, and don’t know if it’s good for you? After reading this review, you’ll be able to make the right decision. As I said earlier, one of the questions I ask myself is “what is this safety razor made of?” The material the razor is made of is as important as the kind of shave it gives. 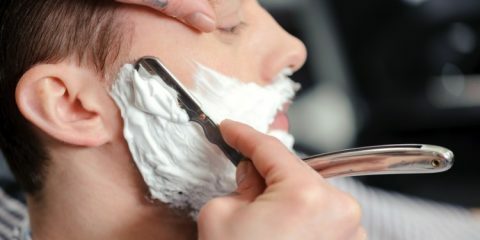 If the material is bad, it’s only a matter of time before you’ll start to regret buying the razor. I want to buy a razor I can enjoy holding and using to shave my beard and body. I want a razor made of good material. It’s important that you know the material before you start cleaning the razor. I like the material this razor is made of. The razor is made of chrome. Why do I like chrome so much? Safety razors made with chrome are easy to clean and are resistant to corrosion. Chrome also increases the surface hardness of the razor. That’s why chrome is used in car parts and other tools. Manufacturers like chrome because it doesn’t make their products get rusty. And customers like it too because it’s easy to clean. 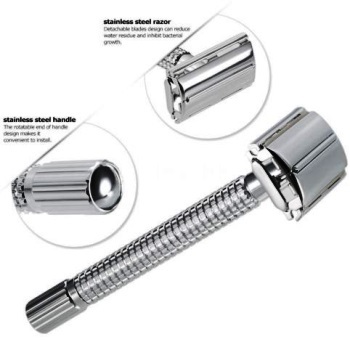 Chrome is a hard metal that will keep your safety razor looking good for years to come. I like the fact that Van Der Hagen used it in this safety razor. The first thing I checked before buying the product is to see if it’s made with chrome. And it is. If you want to buy a safety razor that’s made of high-quality materials, you surely won’t regret buying Van Der Hagen Traditional Safety razors. It’s one of the safety razors that are made of good materials. Short handles are the standard in safety razors. Good razors have short handles. Why are short handles so good? It’s because they are easy to hold. You can control them better. I’ve seen some safety razors that dare to be different and create long handles. They gave me a bad shave. And I couldn’t finish shaving the first time I tried them. Longer handles feel awkward in hand. The razor has a short handle. The design of the handle and adding to the fact that it’s short makes it very comfortable for me. I was able to get a quick shave with it. This isn’t just a razor that’s easy to hold because its handle is short. When I compared Van Der Hagen with other short safety razors, it was one of the easiest to hold. It feels small in my hand and easy to control. 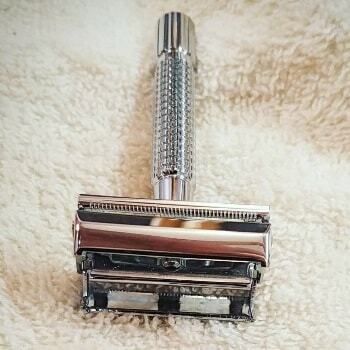 Even if your hands are big, you’ll still find it easy to use this safety razor. For people with sensitive skin, short handles are always the best. It’s easy to put too much pressure on your razor when the handle is long. Longer handles usually require more effort, and it takes time to shave with them. I like comfort when shaving, and this razor gives me that. After trying the razor for a week, I realize why some men and women just like it. The razor is cool. I wasn’t disappointed at all. There wasn’t any hair left because my hands took care of it easily. It’s almost as if the razor shaves my skin before I even put my hands on it. The feel was smooth. Van Der Hagen Traditional Safety Razor is, without a doubt, one of the best safety razors most people can hold comfortably. Butterfly refers to the way in which the head of the razor opens for blade replacement. It opens like a butterfly. You can also call it Twist-to-Open (or TTO). I’m a big fan of butterfly opening because it allows me to replace blade much quicker than other types of safety razors available today. You don’t have to go through stress when you want to replace the blade. All you have to do is to twist the handle of the blade clockwise, and the butterfly head will open. When it’s fully opened, you can remove the old blade and insert a new one into the head. Then twist the handle clockwise in the opposite direction of the opening. Twist-to-Open razors like Van Der Hagen Traditional Safety Razor are so simple to use because of their butterfly heads. Most shavers are comfortable with razors that have butterfly heads. Van Der Hagen worked on making sure that their unique Twist-to-Open head and the handle opens much faster. Some butterfly safety razors make me turn the handle for some seconds. Only a few turns are required when you use Van Der Hagen. The butterfly head isn’t likely to loosen when you’re shaving. Some butterfly razor heads do open when you’re shaving with them. But Van Der Hagen is very tight. Its head is unlikely to open once it’s reached the end of the handle turn. If you’re looking for a butterfly safety razor you can trust to keep you safe, buy Van Der Hagen Traditional Safety Razor. When you buy the razor, you’ll get five Ice-tempered stainless-steel blades. These razor blades are one of the best I’ve seen. 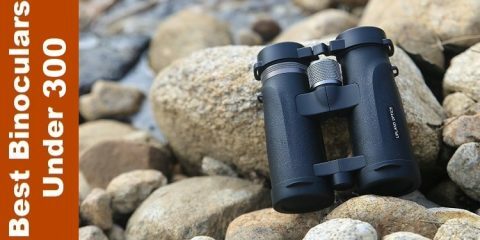 They are made of high-quality stainless steel. The blades are originally made in Solingen, Germany. They are shipped to the United States to be sold with the razor. I’m a big fan of these razor blades. They don’t give me any irritation. The blades are smooth and sharp without being too aggressive. If you want a razor blade that does the job with this razor, you won’t be disappointed choosing Ice Tempered stainless-steel blades. The blades last longer than most razor blades in the market today. Even before buying this razor, I’ve bought the blades before to shave with another razor. It was cool. When I decided to use the blade with Van Der Hagen, I see why they are often sold together. The blade and the razor are made for each other. They are so compatible. The blades last longer. Their longevity is what impressed me the most about the blade. One of the biggest disadvantages of most razor blades today is that they don’t last long. They are not good after one or two shaves. 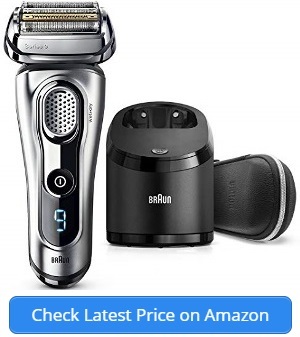 But with this razor blade, you’ll be getting 5 – 7 shaves with it. Buying replacement blades is also easy. And they aren’t expensive. They are sold by Van Der Hagen, the same company that sells the razor. So, you’ll be buying your razor and getting replacement blades from the same company. Some manufacturers don’t produce blades. So, when it’s time to get a replacement blade, you either have to buy a completely different blade or buy the same blades from another company. To me, that’s not a good way to deal with customers. I’m one of the hairy people on earth. My body is covered in hair. If you’re a hairy person like me, I understand your need for a good safety razor that’s good for your whole body. Van Der Hagen Traditional Safety Razor surprised me for being a razor that’s good for my body. I didn’t feel a single itch after shaving my body with the razor. My legs and armpits feel so smooth after using the safety razor. This razor is truly a body razor. I didn’t use it to shave my chest hairs because I like to keep those. But every other part of my body feels comfortable after using Van Der Hagen. There are lots of shaving razors in the world today. Many I’ve tried myself are good. But I still feel slight discomfort after shaving with them. I didn’t feel anything at all after using this safety razor. After about a month of using the razor, I’ve now decided to make it my permanent body razor. I went from trying this safety razor to becoming a regular user. Before, I don’t really look forward to shaving my body every 2 weeks. Today I do. I want to shave my body every 2 weekends in a month. This razor has changed me completely when it comes to shaving my body. Just apply some shave gel or use water and you can start shaving immediately. This razor takes out any hair along the way. After shaving with this razor, your body will feel super smooth. I’ve been hugely impressed by this safety razor. The razor shaves well. 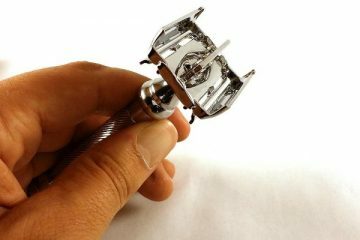 That is something you should expect from every premium safety razor, but very few of them give you a good shave. The razor doesn’t rust because its chrome-plated. You only have to do a little cleaning after using it. Van Der Hagen is great for its price. The razor isn’t expensive at all. Yet, it has a butterfly head. The handle has no slip texture. It’s easy to grip. The razor is also not aggressive at all. I hate aggressive razors because they leave you with irritation. I hate dealing with irritation after shaving. Once a razor leaves my skin irritated, I stop using it immediately. If you’re new to wet shaving and you’re looking for a high-quality shaving razor to get started with, Van Der Hagen is that razor you need. 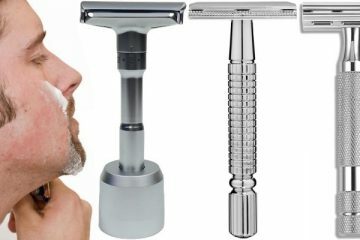 It gives you all the perfect experience you’ll want from a good safety razor. After the first time I used this safety razor, I quickly realized why a lot of people like it. Van Der Hagen is one of the best shaving razors available today. Replacement blades are also cheaper. You can buy a pack online and have them shipped to you. You’ll have enough blades you need for some months. The razor isn’t heavy. It’s easy to lift it as you shave. Its short handle makes the razor even more comfortable in the hands. Van Der Hagen is a great razor for people who want to get good shaving at an affordable price. 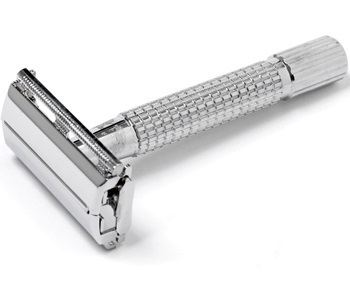 This safety razor isn’t expensive, and I wouldn’t say that it’s cheap either. But it’s good. It gives you a great shave. I believe that’s what matters when you want to buy a safety razor. Make sure you buy Van Der Hagen today to start getting a comfortable shaving experience.